The ETF market has experienced astounding growth over the last decade. There are now 5,000 ETFs traded globally with over $3.5 trillion in assets, a more than threefold increase since 2007. The latest data from ETF.com shows a record $303 billion has already flowed into ETFs in 2017. And this rapid pace of growth isn’t expected to slow down any time soon. It’s estimated that ETFs will hold between $7 and $10 trillion in assets by 2021. 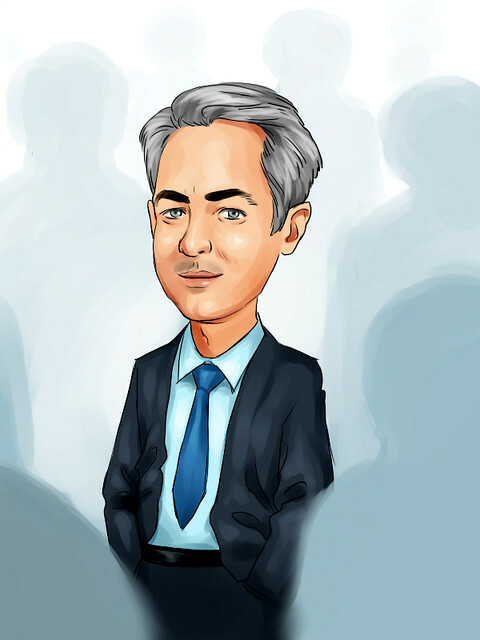 The trend towards passive investment funds may not sound like a huge deal. However, it has vastly distorted the market. Here are a few of the major side effects caused by passive investing. Investors became risk averse in the wake of the financial crisis. They wanted to avoid sector specific or individual specific risk. So they chose to just buy the whole index instead. A passive index ETF pays less attention to the valuation of individual stocks. Instead the ETF will simply buy up all of the stocks to replicate the underlying index. This in turn has led to sky-high valuations for stocks on major indices. 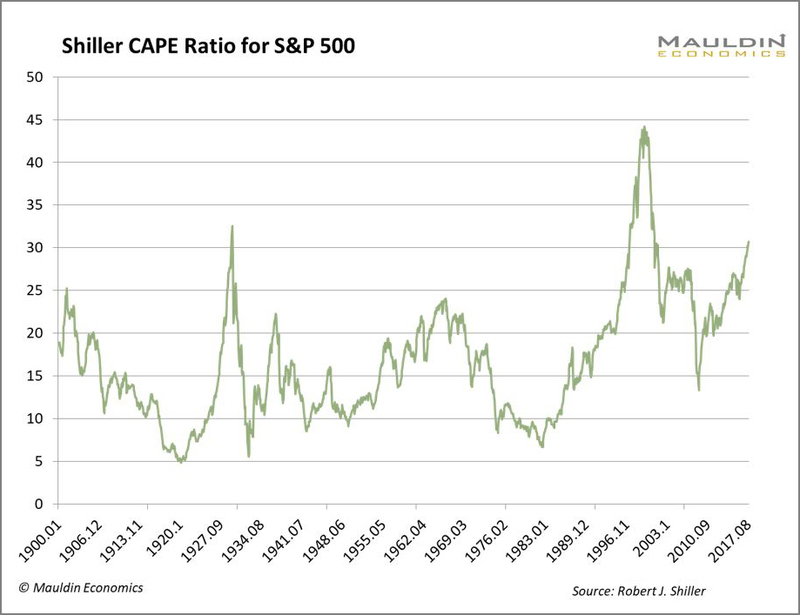 For instance, the Shiller 10-year PE ratio is currently at 30.7. A level only surpassed on two previous occasions just before the Dot-Com Crash and the Great Depression. When investors are buying stocks indiscriminate of things such as a company’s earnings or basic valuation metrics, it’s a good sign that we’re in bubble territory. Buying an index of 500 stocks spread across eleven different market sectors may seem like a perfectly reasonable diversification strategy. But in reality, there has been much stronger correlation between asset classes over the last decade. Much of that has been driven by the central bank policy. Zero-interest rate policy and quantitative easing made cash very unattractive to hold. When you aren’t earning interest on your cash, then you’ll look to park your cash just about anywhere. This lead to all asset classes rising and falling together. The ability to evaluate a company’s balance sheet strength, cash flows, and earnings quality to determine something close to fair value is what gives the active manager an edge. When investors stop paying attention to good stock and bad stocks because it buys all of the stocks at the same time, there is no way for an active manager to succeed. As the Fed has been gradually normalizing monetary policy over the last few years, the correlation across asset classes has been in decline. 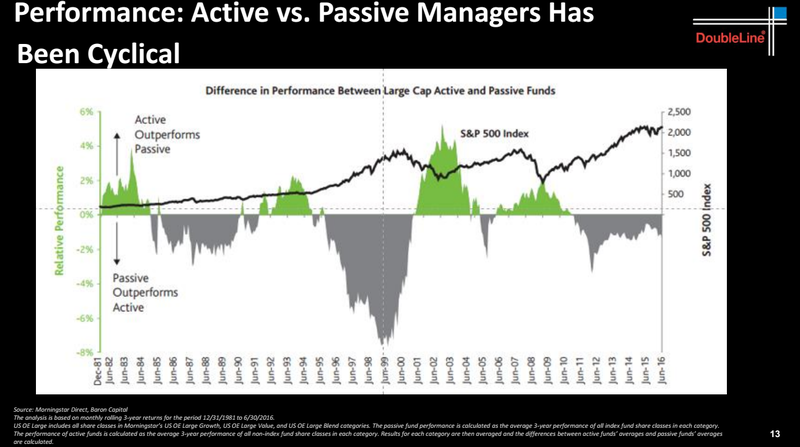 This trend should create an opportunity for active fund managers to start delivering alpha once again. Which in turn should cause funds to reverse the flows back into active funds. The fear is that the outflow from passive ETFs could be much less orderly than the inflow has been over the last decade. There has been no price discovery mechanism for passive ETFs. The bull market was built on an automatic bid by stock index investors. When that automatic bid from the buy-the-dip crowd disappears, there is no telling how the ETFs will perform. Many of these funds have never been tested by real market volatility. A sharp market correction could see a mass exodus from passive index ETFs.